International buzz surrounding Ramon Film Productions, the little-Ugandan-action-movie-studio-that-could is growing. 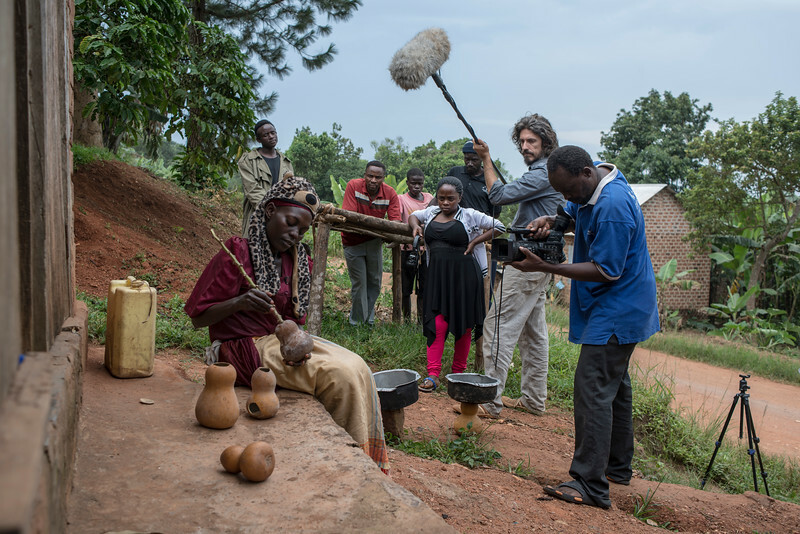 Ugandan director Isaac Nabwana with his American producer-collaborator Alan Hofmanis hustle to put the finishing touches on Uganda's first action triple feature. "Bad Black," the gangland revenge tale; "Crazy World," the child Kung Fu spectacle; and "Eaten Alive in Uganda," the cannibal horror, form the duo's bid for a spot the Cannes Film Festival in May 2016. 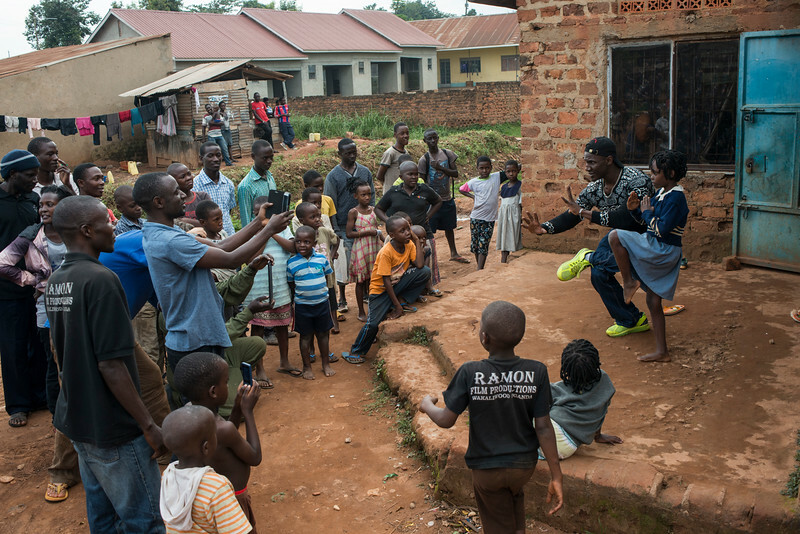 Isaac Nabwana, Wakaliwood's founding director pulls a toy gun on the camera with the sudden intensity that marks his aethetic in Kampala's Wakaliga slum on Sunday, July 5, 2015. 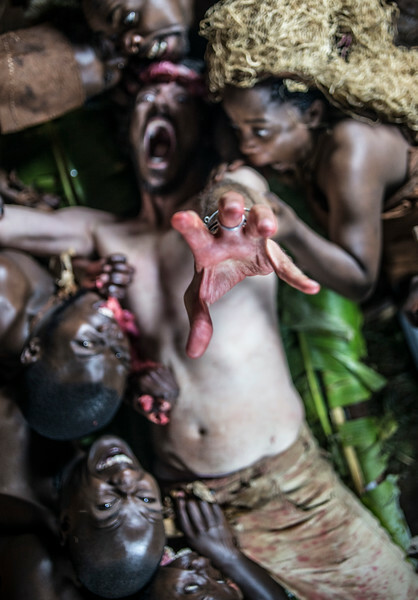 Alan Hofmanis gets eaten by cannibals while filming on the set of "Eaten Alive in Uganda," on Sunday, July 5, 2015 in Kampala. 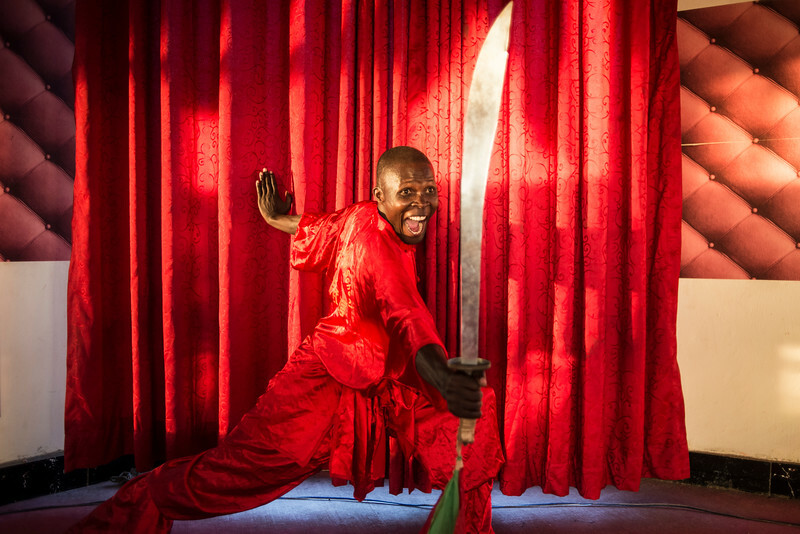 Bukenya Charles trains with a sword for a role in a Ramon Film Productions movie at the Country Wing martial arts school in Kampala on Friday, June 26, 2015. Cast and crew members of Ramon Film Productions strike poses that communicate in the universal language of action. Front row, l-r, Ronald Kazibwe, Alan Hofmanis and Isaac Nabwana. Middle, l-r, and Apollo Creed Asiimwe and Bukenya Charles. 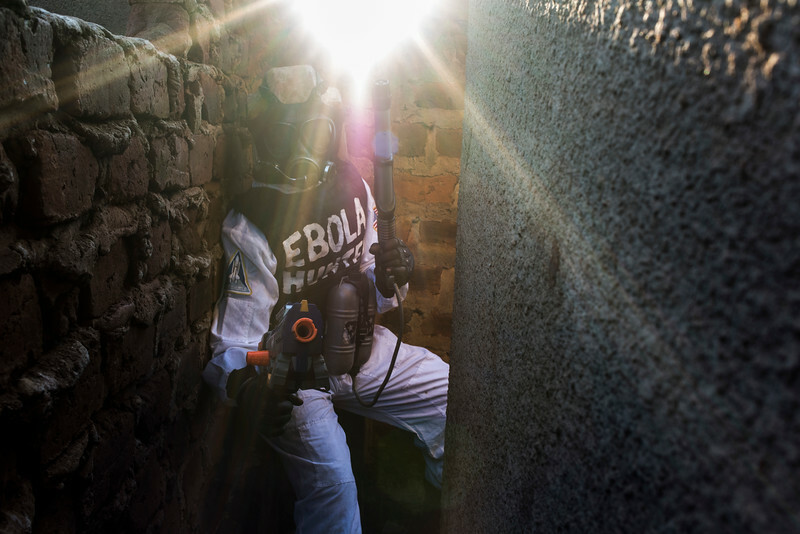 In the doorway, Bisaso Daude as Ebola Hunter. 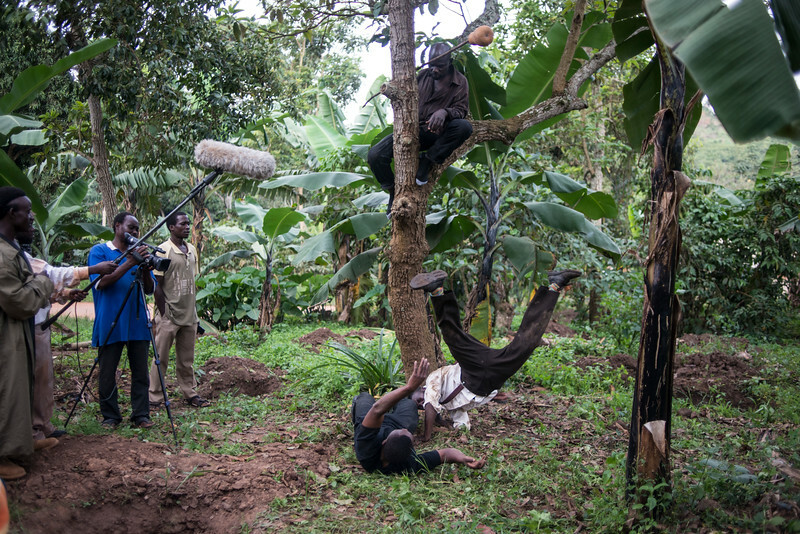 Isaac Nabwana, in blue, films Alan Hofmanis getting dismembered by cannibals on the set of "Eaten Alive in Uganda" on Sunday, July 5, 2015 in Kampala. Alan Hofmanis, left, gets hacked by Isaac Nabwana while Nabwana's wife, Harriet, watches on the set of "Eaten Alive in Uganda," on Sunday, July 5, 2015 in Kampala. 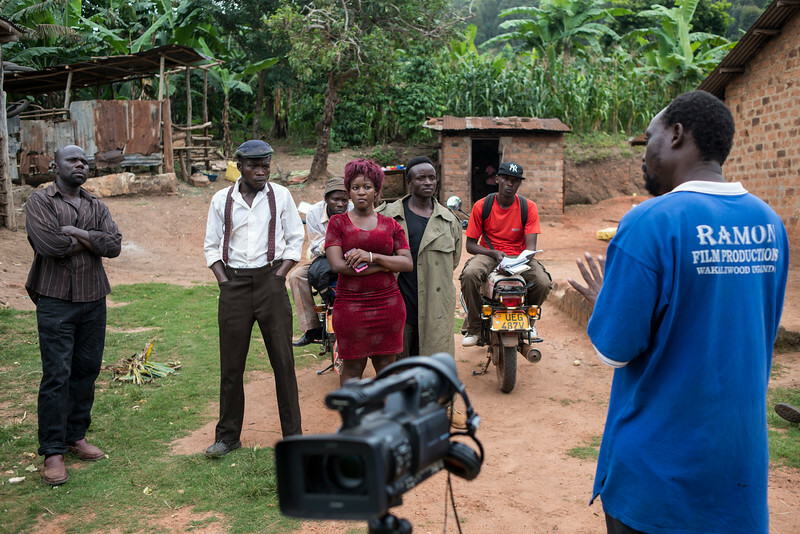 Isaac Nabwana, right, briefs cast members on a scene from an action horror film on location in Kalita, Uganda on Tuesday, June 30, 2015. 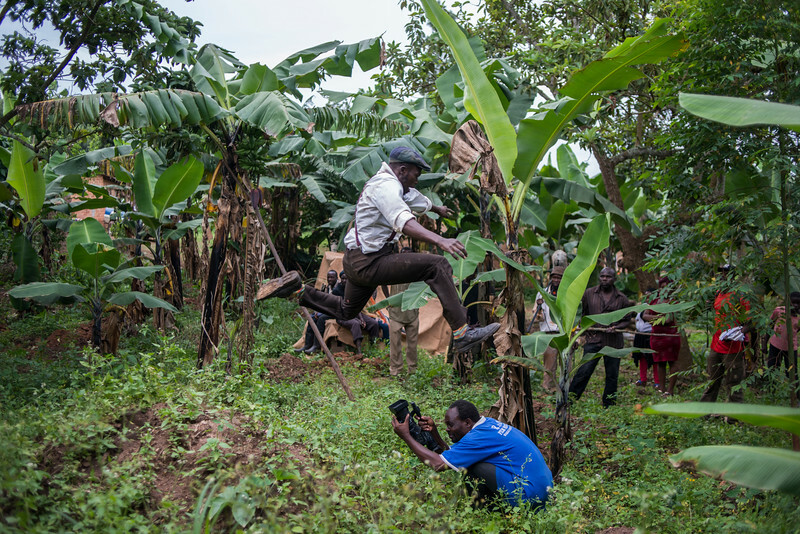 Isaac Nabwana ducks while filming a scene for his new action-horror film on location in Kalita, Uganda on Tuesday, June 30, 2015. 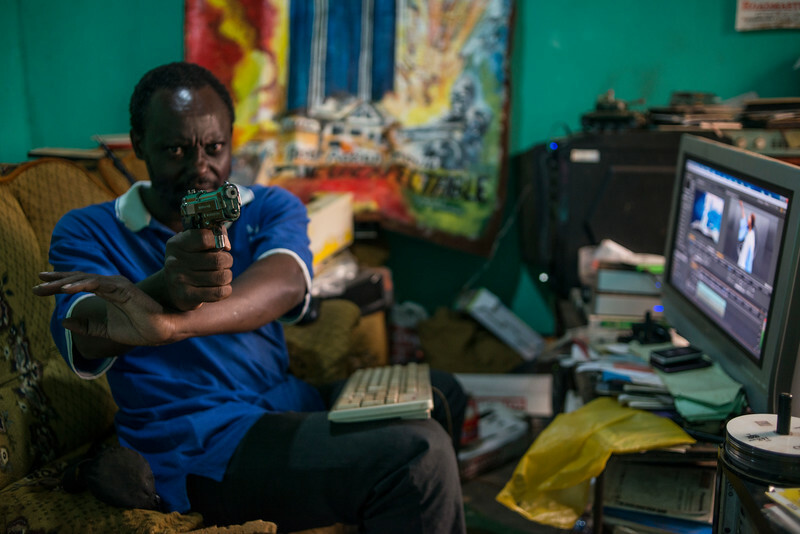 The slum-dwelling director's narratives fuse Ugandan folklore with slap-stick comedy and action sequences inspired by American action films from the late 1970s and '80s that made their way to Uganda on VHS. Isaac Nabwana, left, in blue, films a scene for his new action-horror film on location in Kalita, Uganda on Tuesday, June 30, 2015. 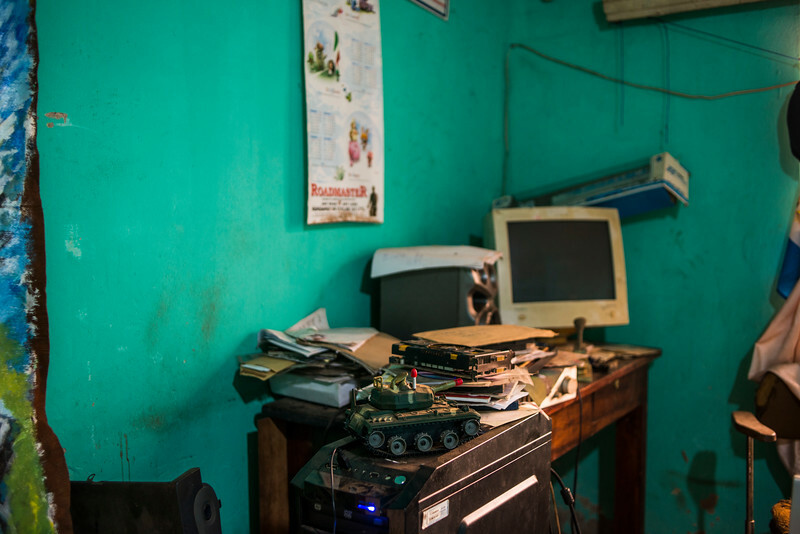 Toy military vehicles adorn Isaac Nabwana's editing studio in Kampala's Wakaliga slum on Sunday, July 5, 2015. 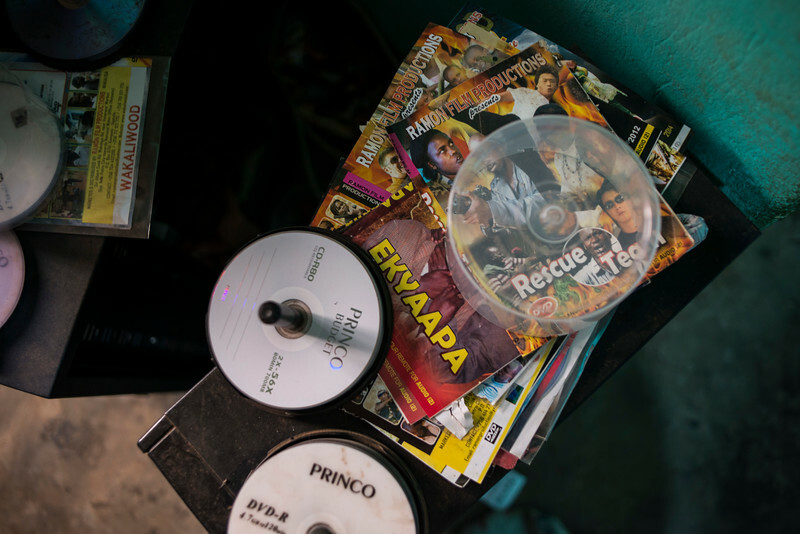 DVDs are strewn all over Isaac Nabwana's editing studio in Kampala's Wakaliga slum on Sunday, July 5, 2015. 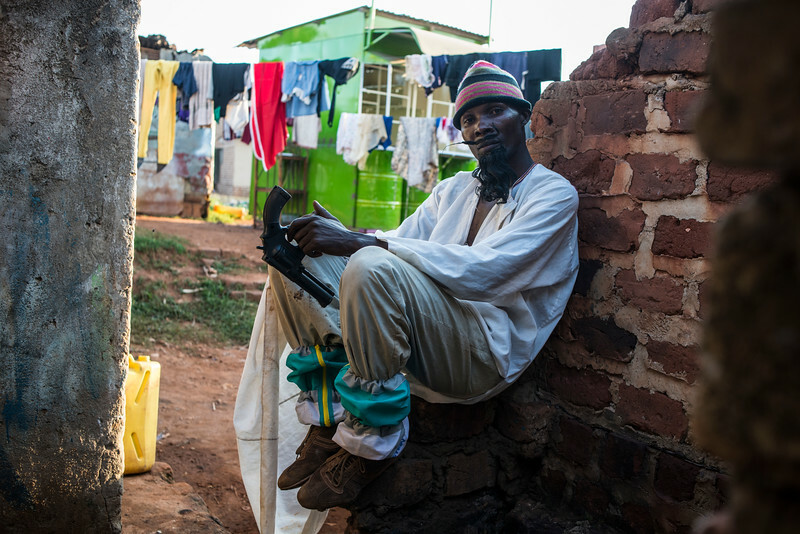 Ugandan martial artist Bukenya Charles poses for a photo on the Ramon Film Production's urban apocalypse set in Kampala's Wakaliga slum on Sunday, July 5, 2015. L-R Bukenya Charles and Bisaso Daude pilot the skeleton of what will soon be a life-size prop attack helicopter in Wakaliga, Uganda on Sunday, July 5, 2015. 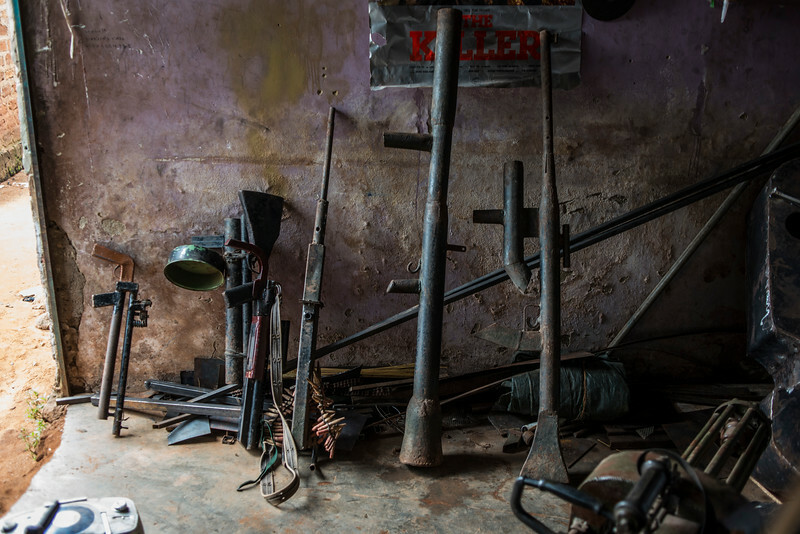 Bisaso Daude as Ebola Hunter prowls the narrow alleyways Ramon Film Productions' post-apocalyptic set in Wakaliga, Uganda on Sunday, July 5, 2015. 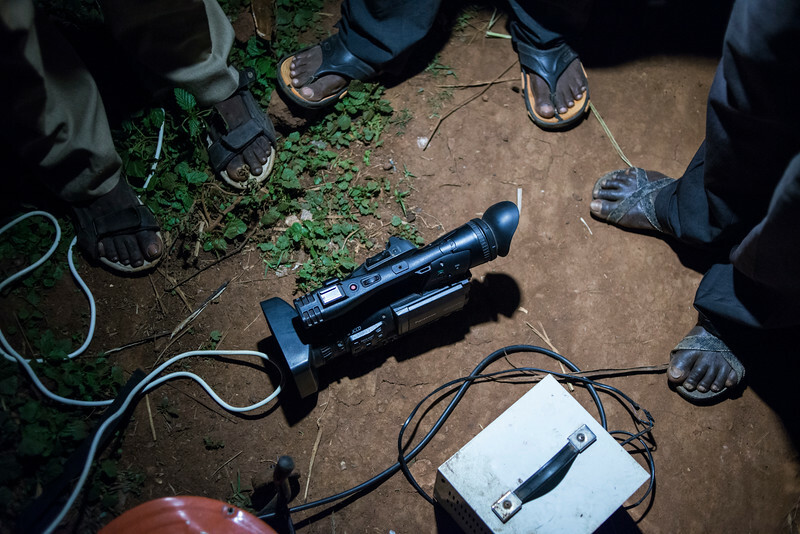 Isaac Nabwana, center, briefs crew members on a scene from an action horror film on location in Kalita, Uganda on Tuesday, June 30, 2015. L-R rapper M.C. Black Knuckle, recording artist N.I. 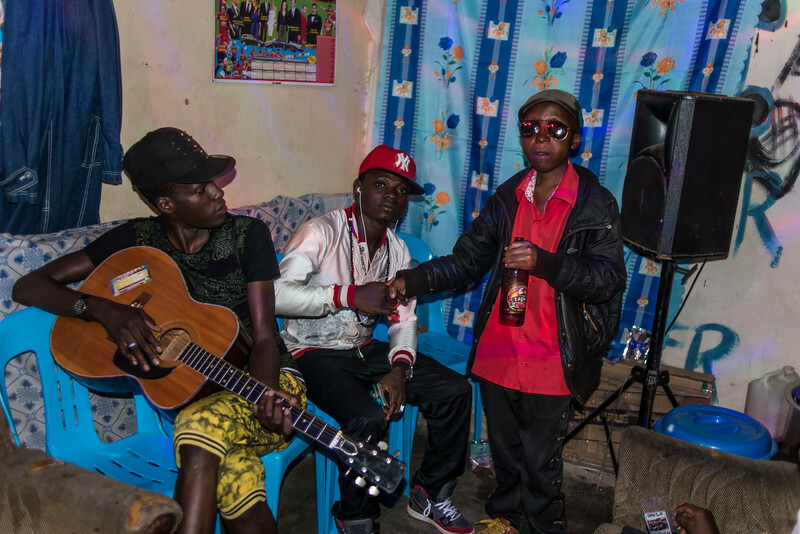 Universe and Wakaliwood actor and record producer Alex Mukiibe pose for a photo during a backroom musician gathering in Kampala's Neetete market on Friday, July 3, 2015. 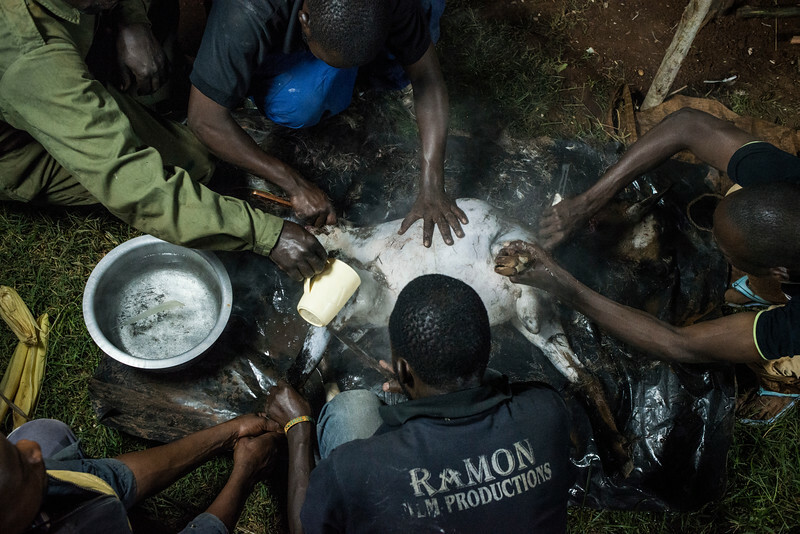 (L-R) Apollo Creed Asiimwe, Ronald Kazibwe and Kagolo Francis munch on a stringy piece of human flesh (raw goat meat) on the set of "Eaten Alive in Uganda" on Sunday, July 5, 2015 in Kampala. 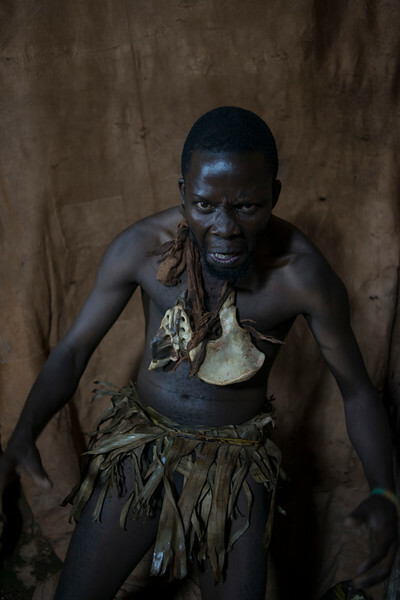 Actor Kagolo Francis poses in his cannibal attire on the set of "Eaten Alive in Uganda," on Sunday, July 5, 2015 in Kampala. Actor Hawah Nabasauzi poses in her cannibal attire on the set of "Eaten Alive in Uganda," on Sunday, July 5, 2015 in Kampala. 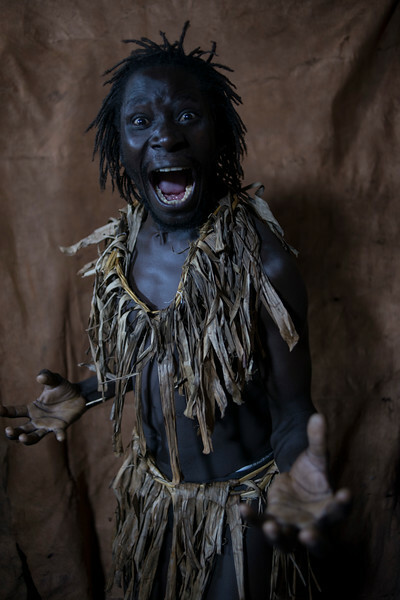 Actor Kasirye John Bosco poses in his cannibal attire on the set of "Eaten Alive in Uganda," on Sunday, July 5, 2015 in Kampala. Actor Nashibah Nakibuuka poses in her cannibal attire on the set of "Eaten Alive in Uganda," on Sunday, July 5, 2015 in Kampala. 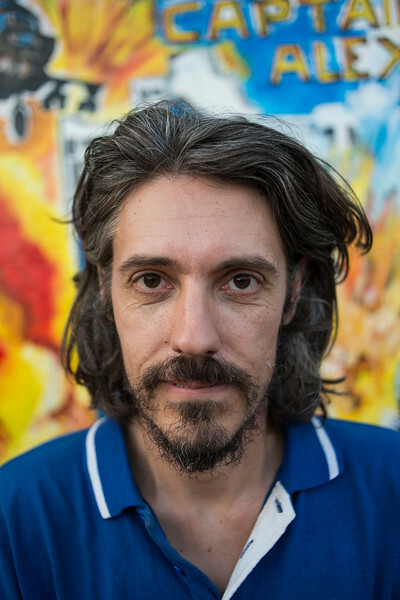 Alan Hofmanis, Wakaliwood's expatriate promoter, producer and production manager poses in front of a "Who Killed Captain Alex?" 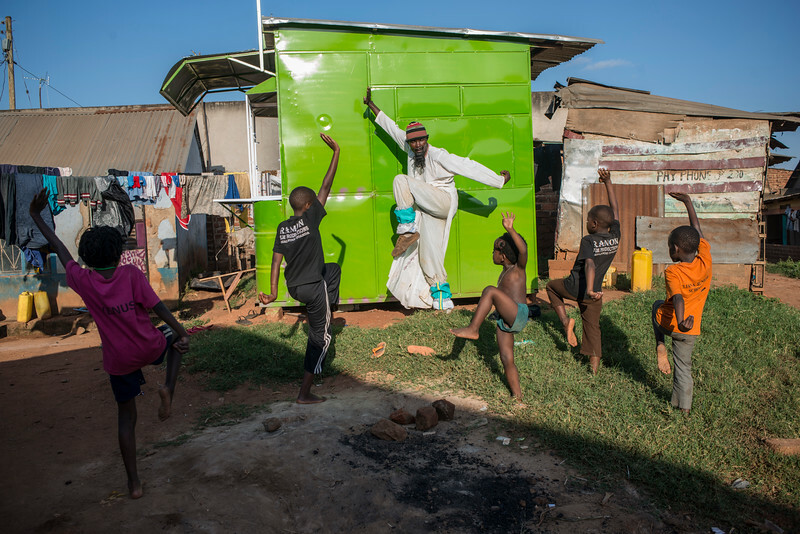 movie poster in Kampala's Wakaliga slum on Sunday, July 5, 2015. 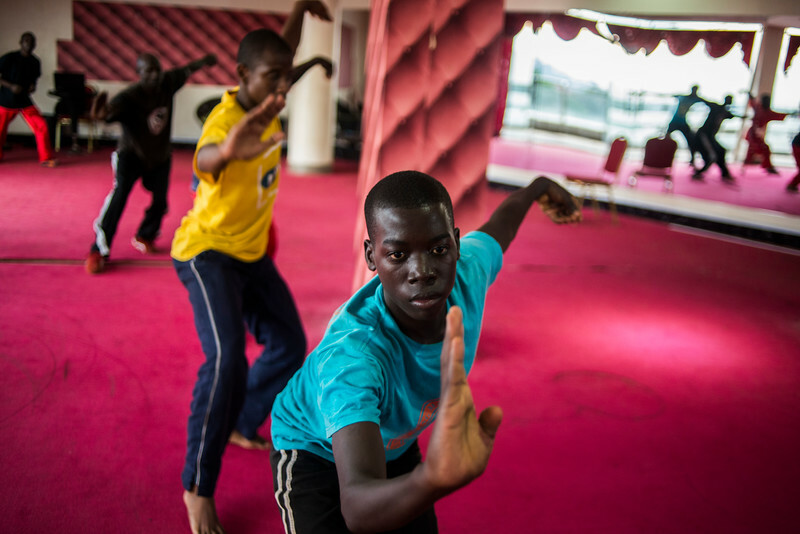 Martial artists train for roles in a Ramon Film Productions movie at the Country Wing martial arts school in Kampala on Friday, June 26, 2015. 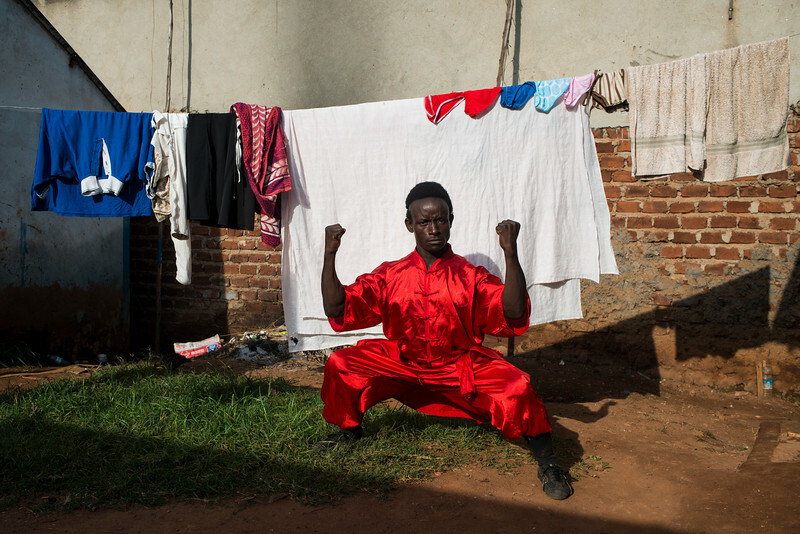 Ugandan action film star Kizza Mamisuru Ssejjemba strikes a Kung-Fu pose in Kampala's Wakaliga slum on Saturday, June 27, 2015. 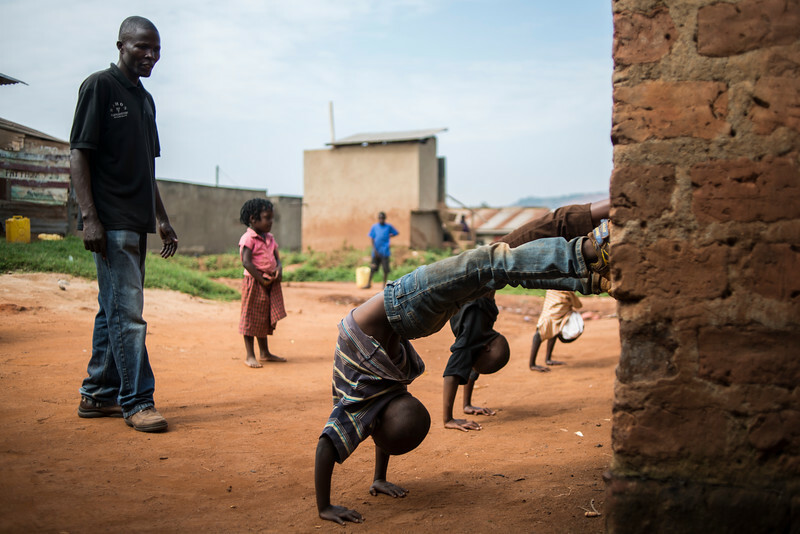 Ugandan martial artist Bukenya Charles leads child kung-fu actors through a training exercise on set in Kampala's Wakaliga slum on Sunday, July 5, 2015. 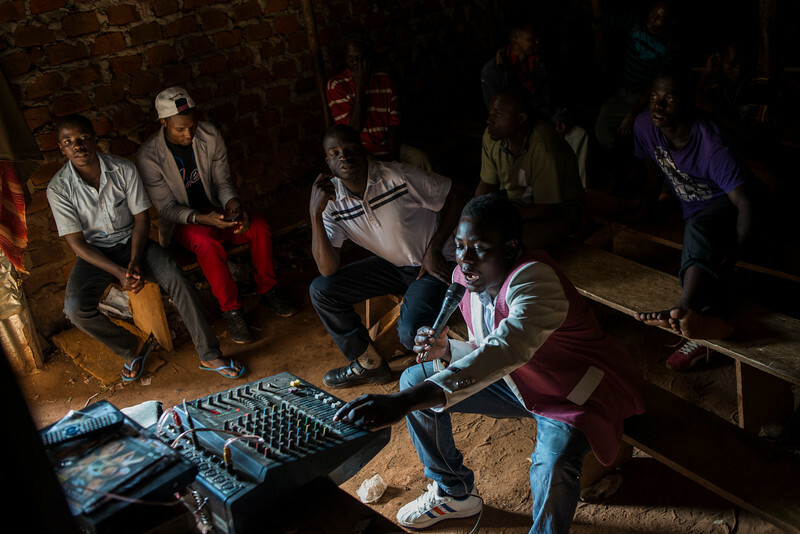 Ugandan men pack a video hall on the outskirts of Kampala on Thursday, July 2, 2015. 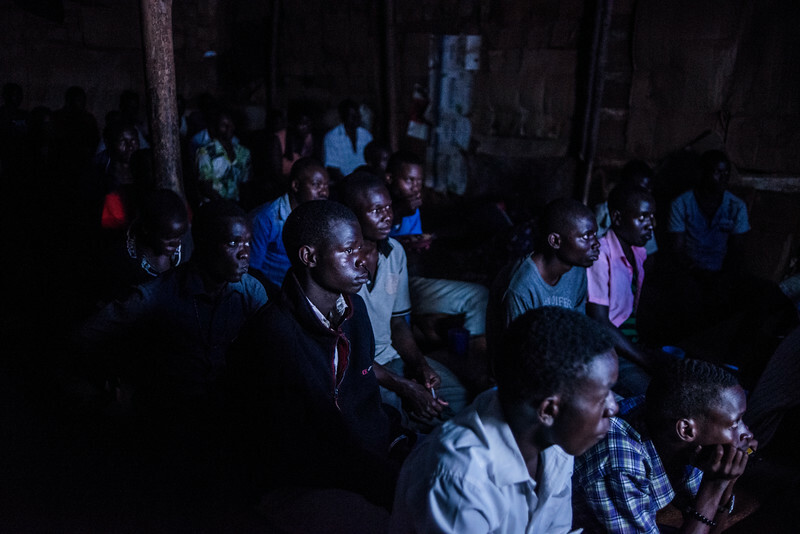 Emmie Bbatte, 29, interprets the action of an English language movie in his native Lugandan at his video hall on the outskirts of Kampala on Thursday, July 2, 2015. Later in the month he was nominated for Uganda's best VJ. Since his voice appeared in "Who Killed Captain Alex?" Bbatte's career has sky rocketed. 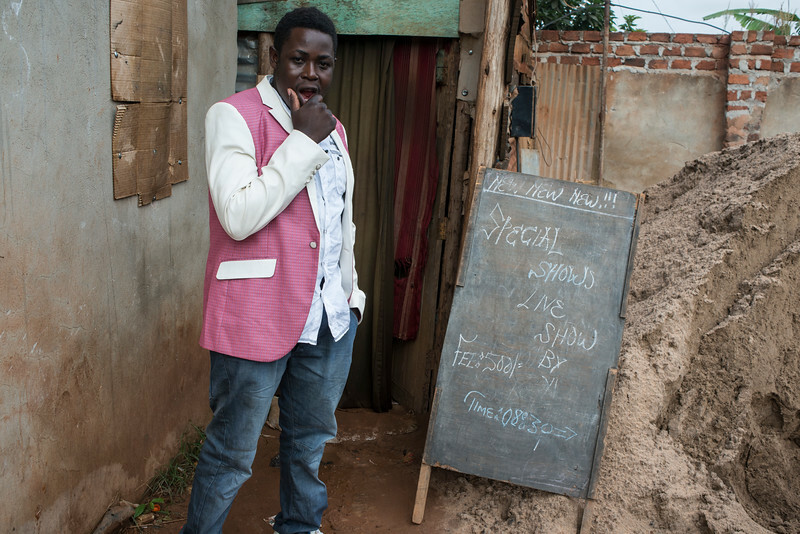 Emmie Bbatte, 29, poses for a photo outside his video hall on the outskirts of Kampala on Thursday, July 2, 2015. Later in that month he was nominated for Uganda's best VJ. Since his voice appeared in "Who Killed Captain Alex?" Bbatte's career has sky rocketed. 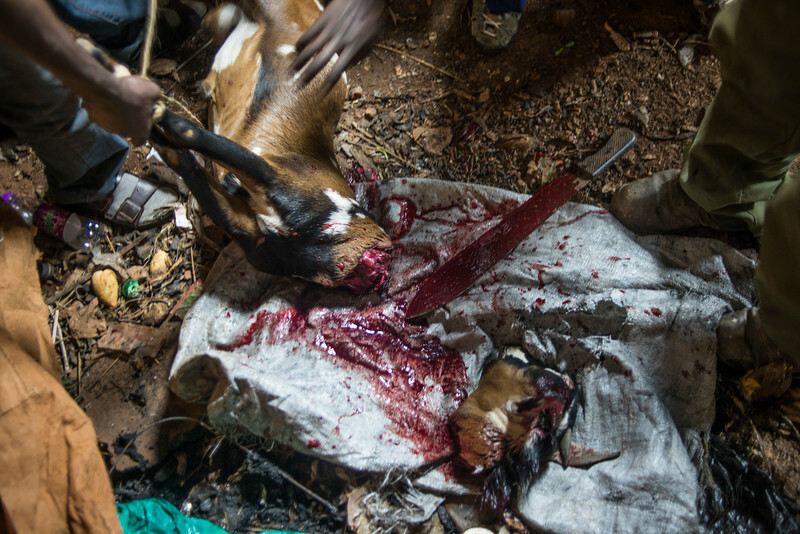 A goat is slaughtered on set at Ramon Film Productions in Kampala's Wakaliga slum on Saturday, July 4, 2012. The animals entrails will be used in Isaac Nabwana's new cannibal film "Eaten Alive in Uganda." 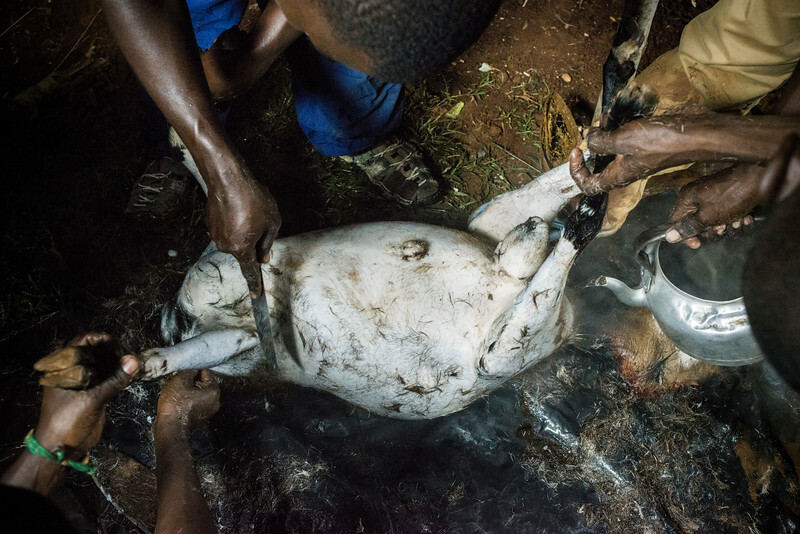 Cast members shave a dead goat on set at Ramon Film Productions in Kampala's Wakaliga slum on Saturday, July 4, 2012. The animal's skin and entrails will be used in Isaac Nabwana's new cannibal film "Eaten Alive in Uganda." 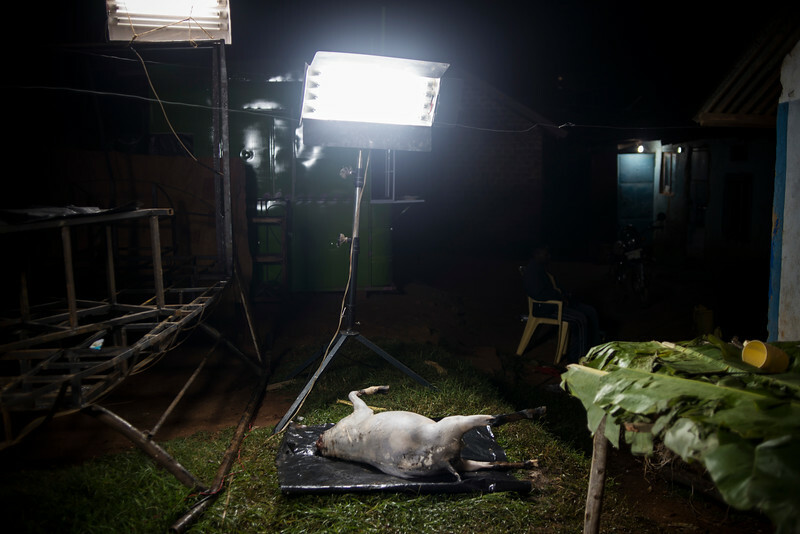 A dead goat, shaved and headless, rests on set at Ramon Film Productions in Kampala's Wakaliga slum on Saturday, July 4, 2012. The animal's skin and entrails will be used in Isaac Nabwana's new cannibal film "Eaten Alive in Uganda." 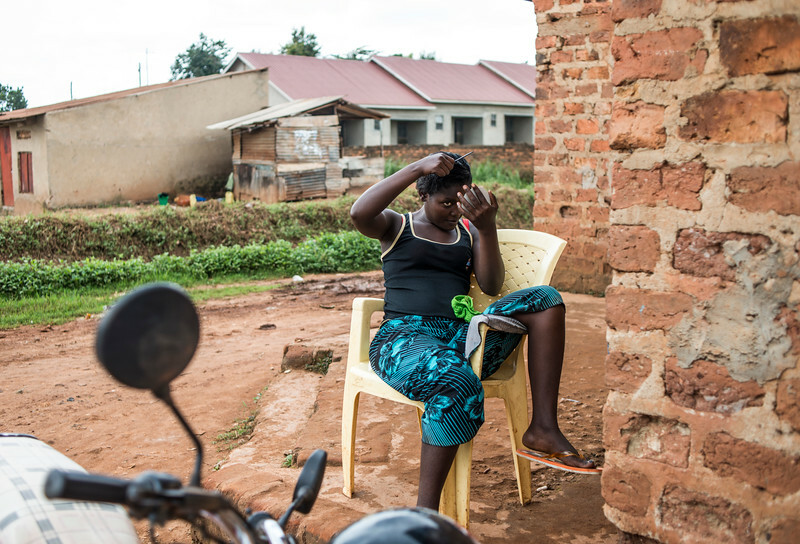 Harriet Nakassuja preens on the front porch of the Wakaliwood studios in Wakaliga, Uganda on Friday, June 26, 2015. 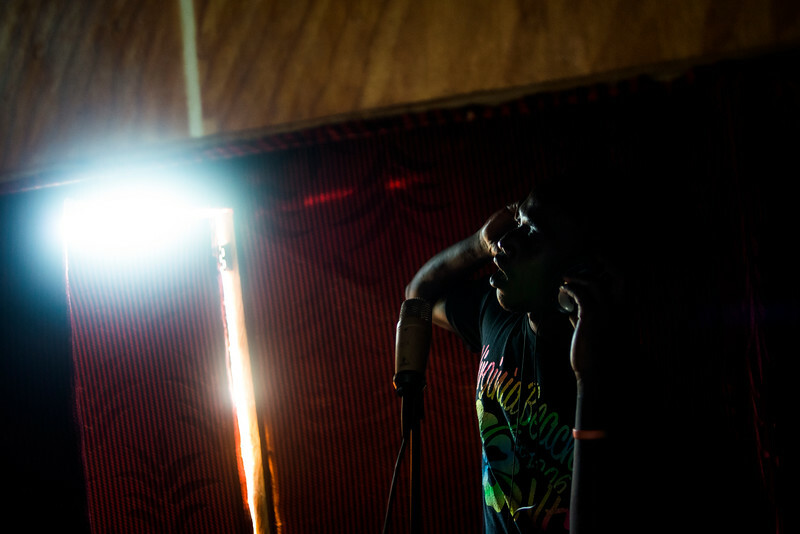 Ugandan recording artist Tiny Robot records a track in Ramon Film Production's plywood studio in Kampala's Wakaliga slum on Saturday, July 4, 2015. 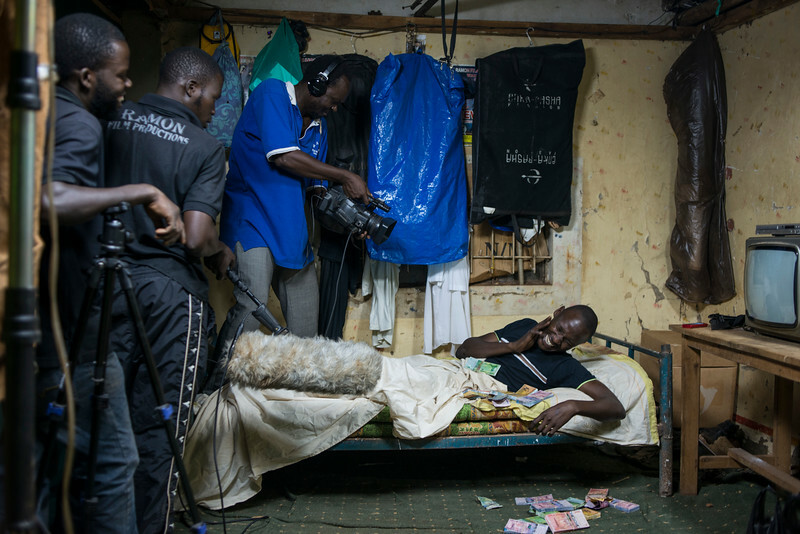 Isaac Nabwana films actor Ronald Kazibwe on the set of his action-comedy in Kampala, Uganda on Wednesday, July 1, 2015. Ugandan kickboxing champion Golola Moses, 35, poses for photos with a child actor in Wakaliga on Sunday, June 28, 2015. 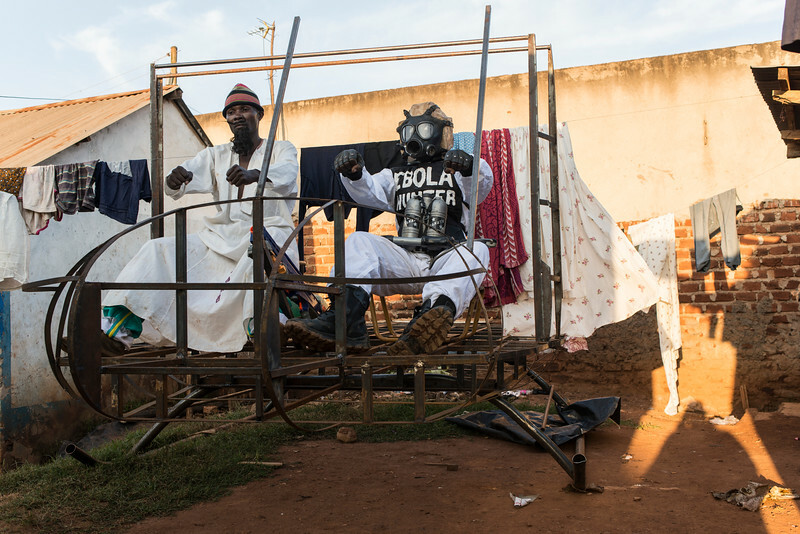 Shortly after his visit, Golola announced he will be joining the cast of the next big action movie. 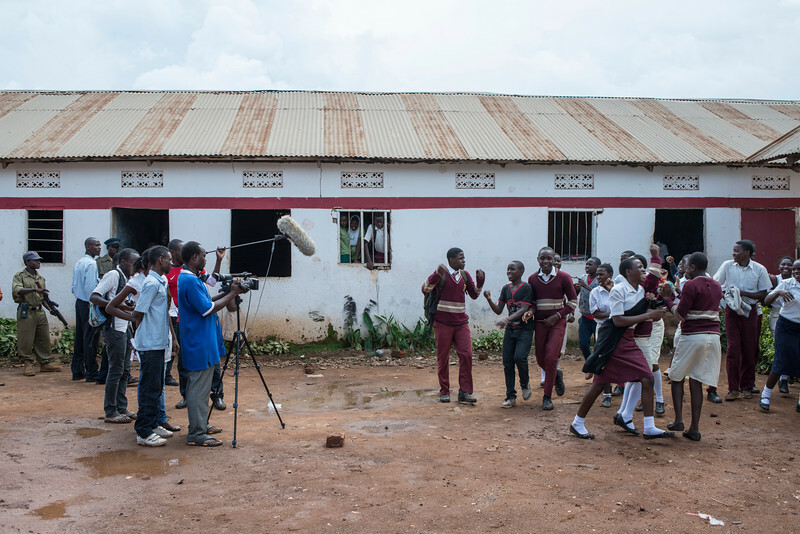 Isaac Nabwana, center, in blue instructs actors on the set of his new action film about a university riot in Kampala, Uganda on Wednesday, July 1, 2015. 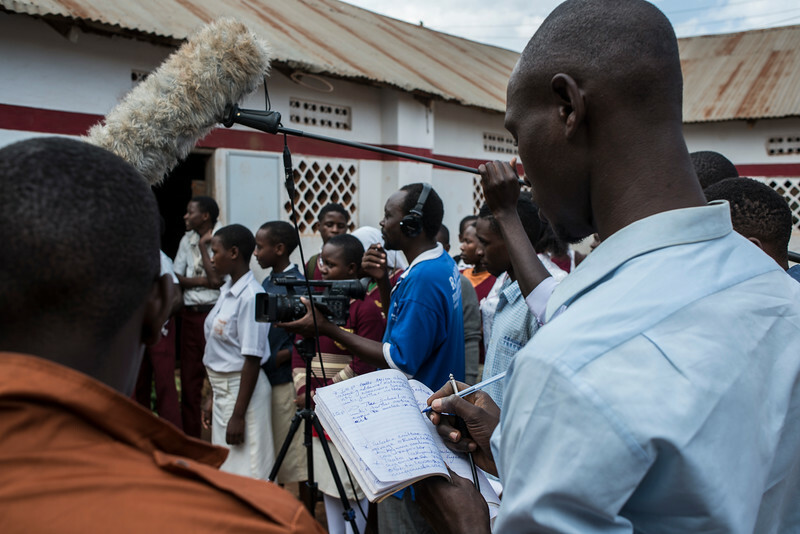 In the foreground, actor Ronald Kazibwe writes the next scene. 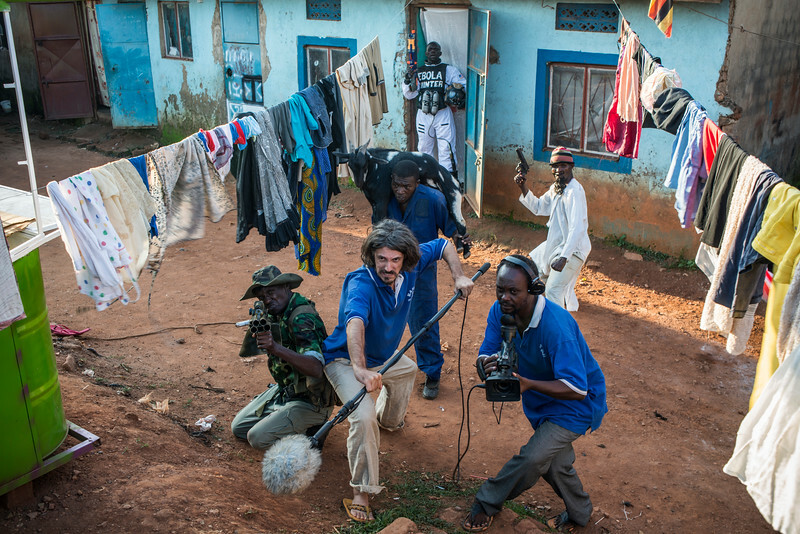 Most Wakaliwood productions are heavily improvised. 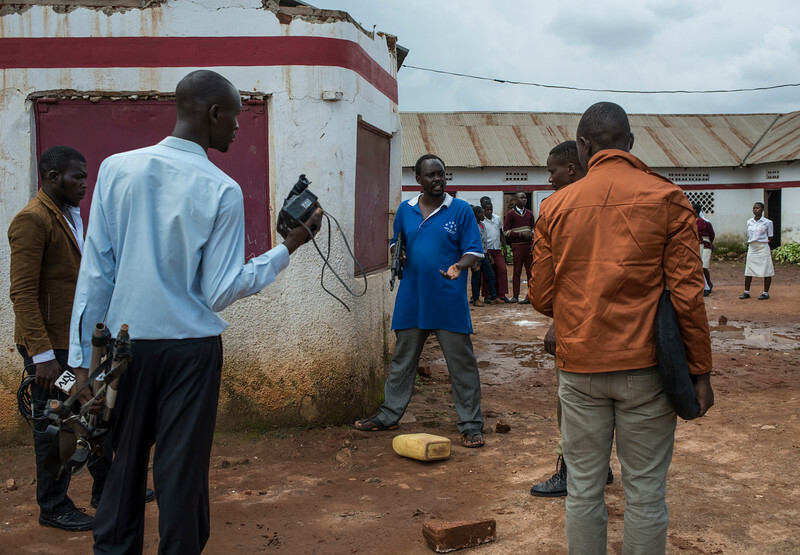 Isaac Nabwana, in blue, instructs actors on the set of his new action film about a university riot in Kampala, Uganda on Wednesday, July 1, 2015. 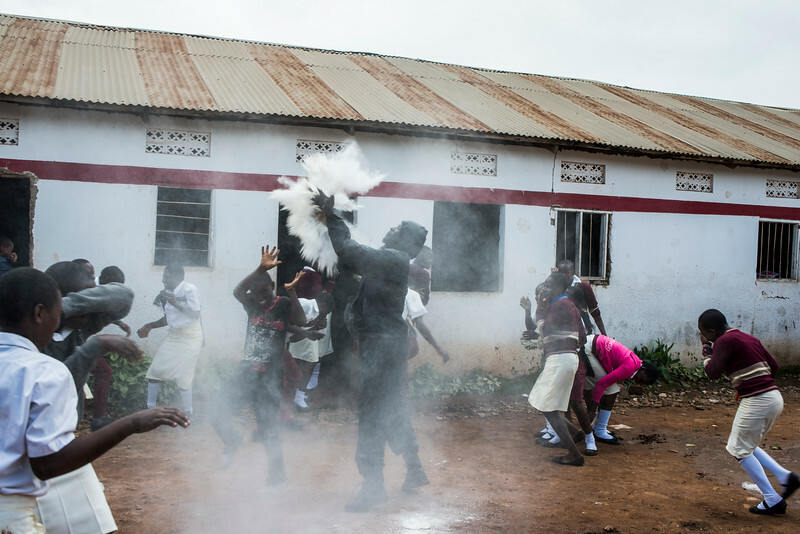 Actor Kagolo Francis smashes bags of flour on the set of a new action film about a university riot in Kampala, Uganda on Wednesday, July 1, 2015. The explosions will later be digitally enhanced to appear as tear gas. 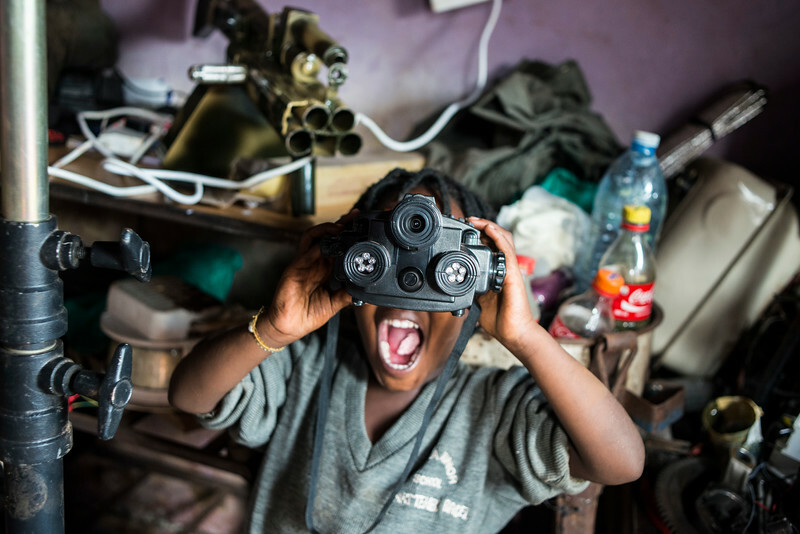 Child actor Margaret Nassimbwa poses with prop night vision goggles in Kampala's Wakaliga slum on Sunday, June 28, 2015. 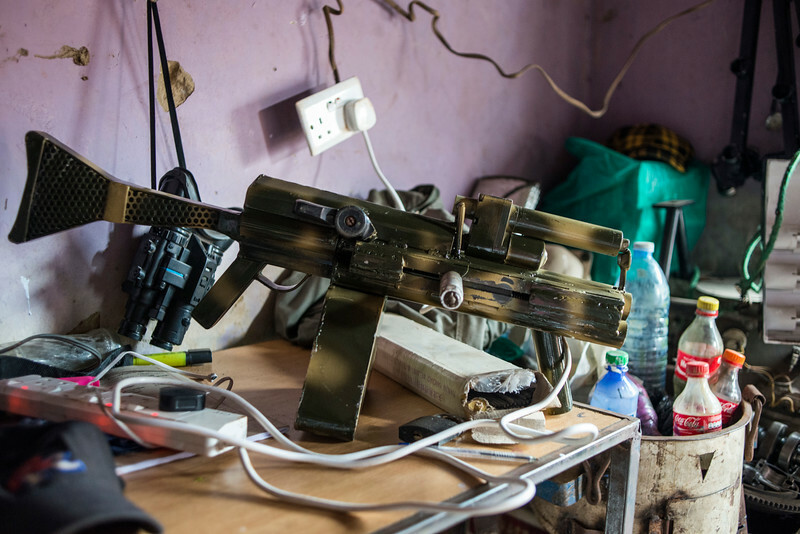 A prop machine gun awaits its next action movie sequence in Kampala's Wakaliga slum on Sunday, June 28, 2015. 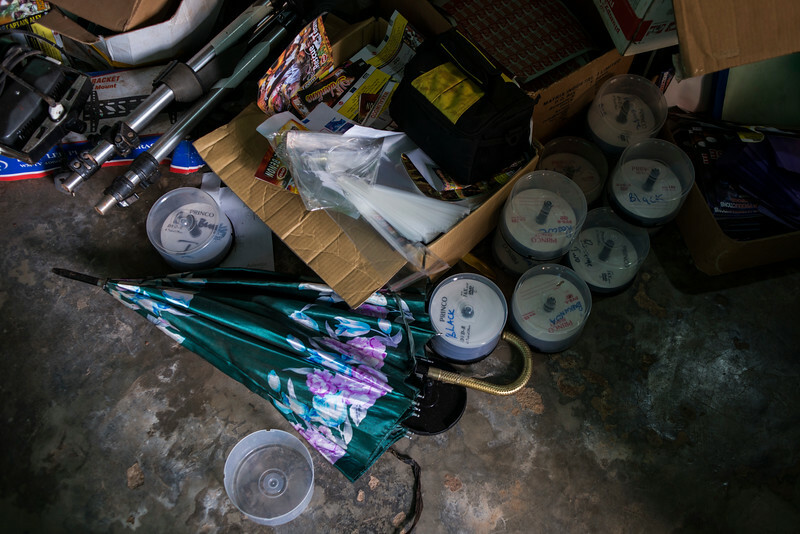 A fraction of Ramon Film Production's arsenal of prop weapons in Kampala's Wakaliga slum on Sunday, June 28, 2015. 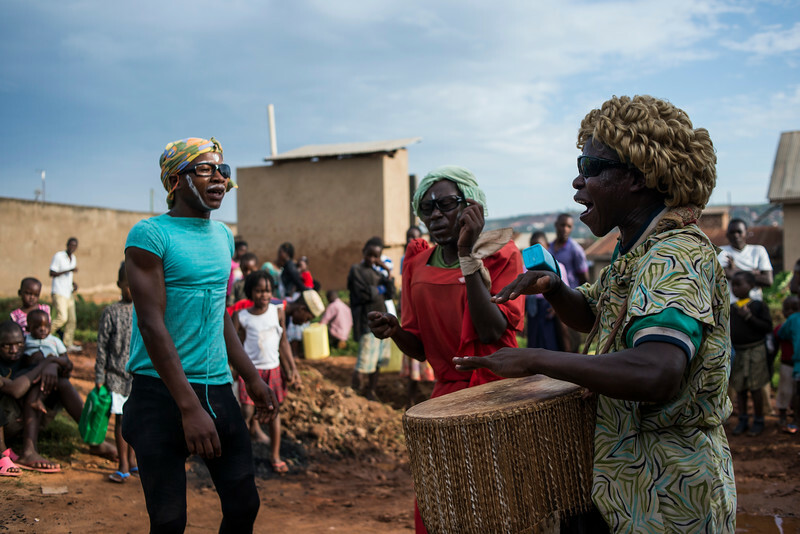 Transvestite gypsy singers perform at the Ramon Film Production studios in Wakaliga, Uganda on Thursday, July 2, 2015. Martial Arts expert Bukenya Charles trains child action film stars in Kampala's Wakaliga slum on Sunday, June 28, 2015.